One of the joys in life is sharing a drink with good friends, like these models I met at a stock photo agency. "They say you live longer if you don't drink. It's not true. It just feels longer." Michael Jackson (the late beer and whisky expert, not the King of Pop) once told me that, and it's wisdom I have always taken to heart. Lately, the idea that a daily drink is good for you is under increasing challenge. The World Health Organization (WHO) recently published a report calling for governments to collectively crack down on drinking, citing the more than 3 million alcohol-related deaths in 2016. Last month, a study published in the U.K. medical journal the Lancet sparked headlines proclaiming that the only safe amount of drinking is no drinking. The authors had compared global health data with global alcohol data and concluded, "There is no safe level of alcohol consumption." Some have been quick to call it the death of the “French paradox.” For decades, multiple studies have found that drinking alcohol in moderation, particularly red wine, can improve cardiovascular health and lower the risks of type 2 diabetes, Alzheimer's and even some cancers. Was all that just wishful thinking by wine aficionados? But wait. Before you go converting your wine cellar into a knitting nook, let's not fall into the trap of health-panic hyperventilating. After all, we've seen before what happens when you base your health choices on headlines: Remember when eggs were considered heart-clogging orbs of death? Making responsible health choices is about being informed, not jumping at headlines. Let's look at the WHO report and the Lancet study and try to understand what exactly the risks are. The WHO team found that 28 percent of alcohol-related deaths were due to injury. Digestive disorders were responsible for another 21 percent, and 19 percent were due to cardiovascular diseases. 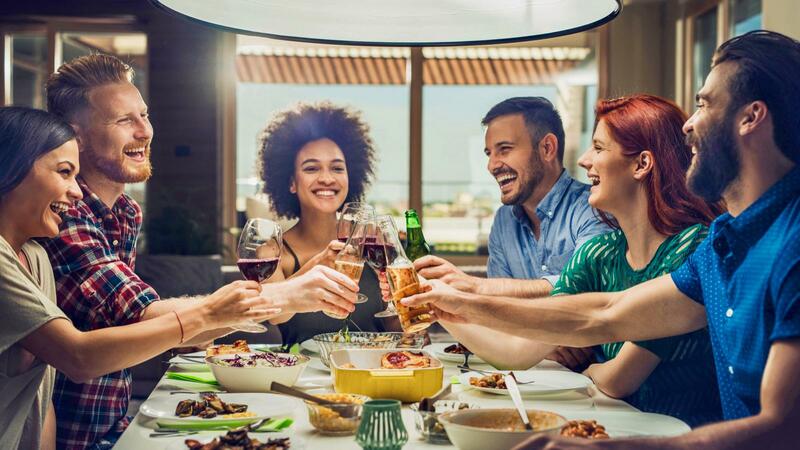 The WHO didn’t make the distinction, but all three of those—amounting to 68 percent—are causes of death that, when involving alcohol, are typically associated with overconsumption or habitual heavy drinking, not with a glass of wine with dinner. As for the Lancet, as my colleague Lexi Williams pointed out, while the study's authors declare that any alcohol consumption is risky, other analysts looking at the data found a huge difference between the risk of consuming one to two drinks a day versus three or more. According to the data, people who don't drink alcohol had a likelihood of 0.914 percent of developing one of 23 health problems the authors looked at; for those who consumed about one drink per day (for this study, 10 grams of alcohol), that likelihood increased by a mere 0.004 percent, or a representation of 4 in 100,000 people. That data has led other researchers to say that the study authors undercut their own argument when they chose to declare all drinking unsafe, rather than pointing the finger at heavy drinking, particularly since the data did show that moderate drinking offers benefits against diabetes and cardiovascular disease. Were the authors so concerned about alcohol's risks that they felt the only way to make people cut back on drinking was to declare all alcohol poisonous? Let's be clear: Alcohol is a drug, a mind-altering substance that can damage your body if used irresponsibly. Research has shown it increases the risk of some diseases, including breast cancer. Some people should not drink, due to genetic factors or a predilection toward addiction. Drinking and driving is deadly and inexcusable. We should all make sure that we’re enjoying alcohol responsibly and that our moderate consumption isn't slipping into one too many drinks on one too many nights. But being alive is about living with risk. Driving a car is probably the most dangerous thing most of us do every day. Everything we choose to eat and drink is a balancing act of risks and rewards. And I still believe that a cocktail with friends, a beer at the game or a glass or two of wine with a wonderful meal is one of the most rewarding things in life—and there are health benefits to happiness. So be informed and be responsible. But don't stop living life just to try and cheat death. "One of the joys in life is sharing a drink with good friends, like these models I met at a stock photo agency."